A modern metropolis steeped in history, London is a buzzing hub for arts, shopping, culture and cuisines, all mixed in with historical sights and attractions. And don’t fear the city’s reputation for being expensive - the London Pass allows you to explore over 80 iconic attractions all over the city, saving you both time and money. The London Pass grants you one-time free entry to over 80 different sites and attractions. This includes historic buildings such as the Royal Observatory, over 20 different museums, the Zoo, London’s various gardens, and more. At selected attractions, the London Pass gives you fast track access that allows you to skip ahead of the lines. Aside from these perks, you’ll also get one day of unlimited travel on the hop-on hop-off sightseeing buses and a free guidebook, along with the option of adding on an Oyster Travelcard. You can select a pass valid from* one through 10 days,* depending on the length of your stay. The physical pass can be redeemed at Tourist Island on Charing Cross Road (Leicester Square Station via subway), during opening hours. Present your printed voucher, get your pass, and you’ll be right on your way. If pick-up doesn’t fit into your schedule, opt for the e-Pass instead. All perks remain (aside from the Oyster Travelcard) , and the pass will be stored onto your mobile device. Note: The Oyster Travelcard option will not be available with the London e-Pass. If you want this option, purchase the physical London Pass instead. This royal palace, built by Henry Vlll in 1515, contains a surprising amount of things to see. Its rooms house many pieces from the Royal Collection, with numerous tours and activities taking place on the palace grounds. Take a tour through Henry Vlll’s kitchens and furnished State Apartments, as well as stroll through the beautiful Hampton Court Gardens. Don’t miss out on the famous Hampton Court Maze, with its various twists and turns. One of London’s defining landmarks, the Tower Bridge was built over 120 years ago, across the River Thames. Walk across the Glass Floor to watch the colorful London crowds pass beneath your feet, and take a peek inside the Victorian Engine Rooms to see how the drawbridge was once powered. Don’t forget to check the bridge lift times to experience this engineering marvel in action. The ZSL London Zoo remains one of London’s top family attractions to this day, housing over 750 animal species from all corners of the globe. The enclosures are built to mimic the animals natural habitat, including the new 2,5000 square meters Land of the Lions enclosure. Multiple tours and shows run throughout the day, from the London Zoo Nature Trail that takes you through the zoo’s exotic species, to meeting some very real bird-eating arachnids at Spiders Live - if you’re brave enough. This famous botanical garden in southwest London is a sight to behold in bloom. Home to a collection of over 30,000 species of plants - both outdoors and in glasshouses -, the UNESCO World Heritage site is also home to one of the largest herbariums in the world, with over seven million preserved plant species. Get a bird’s eye view from the panoramic Tree Top Walkway, and visit the various climate-controlled Plant Houses that contain everything from temperate ferns to carnivorous plants. Note that closing times vary, depending on the season. Check here for the exact timings. Whether you’re a fan of The Blues or not, don’t pass up the opportunity to step onto the pitch of the Chelsea Football Club. A guided tour takes you through the lesser-seen parts of the Premier League team’s home grounds. Take a look into the locker rooms, get comfy in the Press Room, experience the iconic tunnel walk out onto the field and more - there’s always a photo opportunity at hand. Entry to the Chelsea Museum is included as well. You can’t leave London without a trip to this architectural stunner. Beyond its jewel-like stained glass windows and intricately sculpted chapel ceilings, the Westminster Abbey is one of the most important buildings in Britain, serving as the site of royal coronations since 1066. Admire The Modern Martyrs and Blessed Virgin Mary statues that distinguish the Abbey’s exterior, which has been restored and re-faced several times over the years. Standing at 95 stories and 310 meters high, the London Shard dominates the London skyline. The View on this supertall skyscraper has two viewing platforms - an indoor viewing gallery on the 69th floor, and an open-air skydec on the 72nd floor. 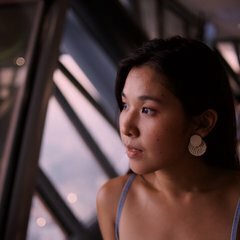 From the top of London’s highest viewing platform on a fair day, you’ll be able to spot The London Eye, St. Paul’s Cathedral, Tower Bridge, and other iconic landmarks. This historic castle nestle on the north bank of the Thames has served as a prison, palace and fortress over the centuries. Entrance to the Tower includes everything from access to the world famous Crown Jewels, a breathtaking collection of over 23,000 gemstones, to tours that reveal the darker history of the Tower. Take a mini-voyage through the heart of the city on a cruise down the Thames, which runs 24 hours a day. You have options from a short 30-minute cruise to a whole three hours on the river, and you can hop on and off at four locations: Westminster Abbey, London Eye, Tower Bridge and Greenwich. The river takes you past quintessential London landmarks like the Houses of Parliament, The London Eye, St Paul's Cathedral and more. You can also get a different view of the Tower Bridge, this time from the river itself! Take on the day at your own pace, with a full day of unlimited free rides on London’s hop-on hop-off sightseeing buses. With over 65 stops throughout London, getting by quickly and easily will be a breeze. 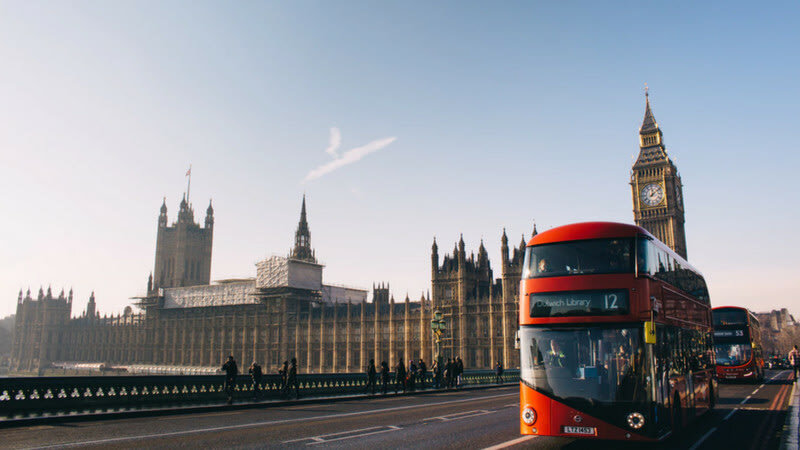 Whether you’re hopping from attraction to attraction, or simply taking in the streets of the bustling city, a day pass on the buses is a nice bonus for your London itinerary. The Oyster Travelcard is the best way to tackle London’s public transport system. When you buy a Oyster Travelcard with your London Pass, it’ll come with pre-loaded credit that matches your London Pass Duration. All you have to do is tap in and tap out of the ticket barriers at the train stations or when you board a bus. The great thing about an Oyster Travelcard is its maximum credit limit. 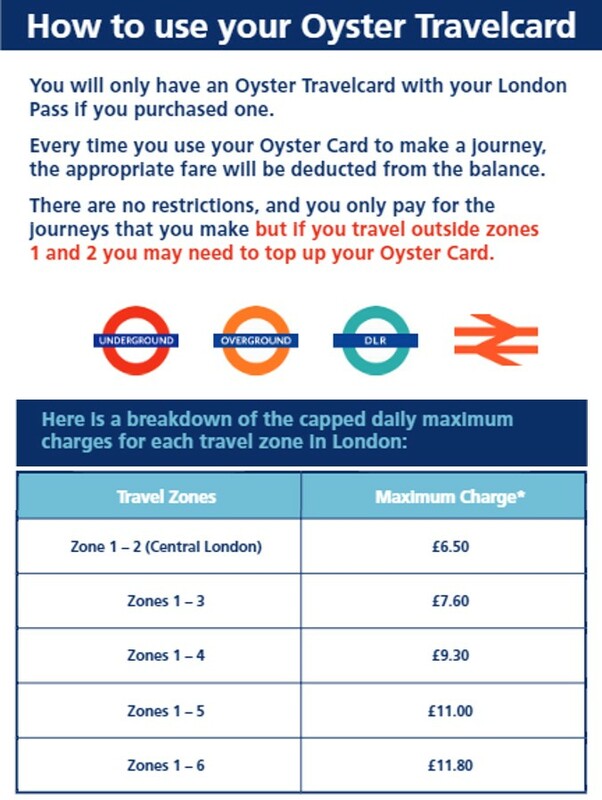 This means that if you take multiple journeys within Zones 1 and 2, you’ll only have to pay £6.80 - regardless of how many trips you make. Most of London’s top attractions are in Central London, within Zones 1-2 (Central London + Ring area). If you wish to travel beyond Zones 1-2, you might may need to top up your card. For more details on how to use your Travelcard and the credit limits for different zones, click here. If there’s one bucketlist destination to explore this year, make it London. The London Pass is a quick and easy way to explore London at your own pace. You can plan your days and food stops around your top attractions, as well as save time by skipping ticket queues and making use of the fast track perks. 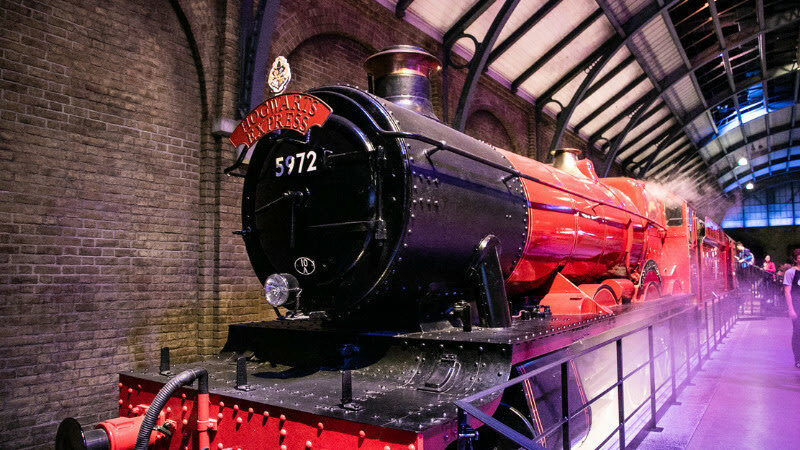 Get a sneak peak behind the magical world of Harry Potter at the Warner Bros. Studio Tour: The Making of Harry Potter! We've even included hassle free ways of getting there! If it's your first time in London, you'll want to check out these 10 London highlights! Stroll along the gardens of Buckingham Palace or shop on the famous Oxford street before heading to Camden market to fill your bellies. Read on to find out what are some of the must visit spots!